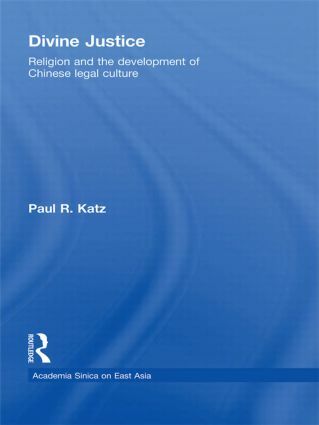 This book considers the ways in which religious beliefs and practices have contributed to the formation of Chinese legal culture. It does so by describing two forms of overlap between religion and the law: the ideology of justice and the performance of judicial rituals. Divine Justice will be of enormous interest to scholars of the Chinese legal system and the development of Chinese culture and society more generally.